All DOBSON RANCH UNIT 3 homes currently listed for sale in Mesa as of 04/23/2019 are shown below. You can change the search criteria at any time by pressing the 'Change Search' button below. 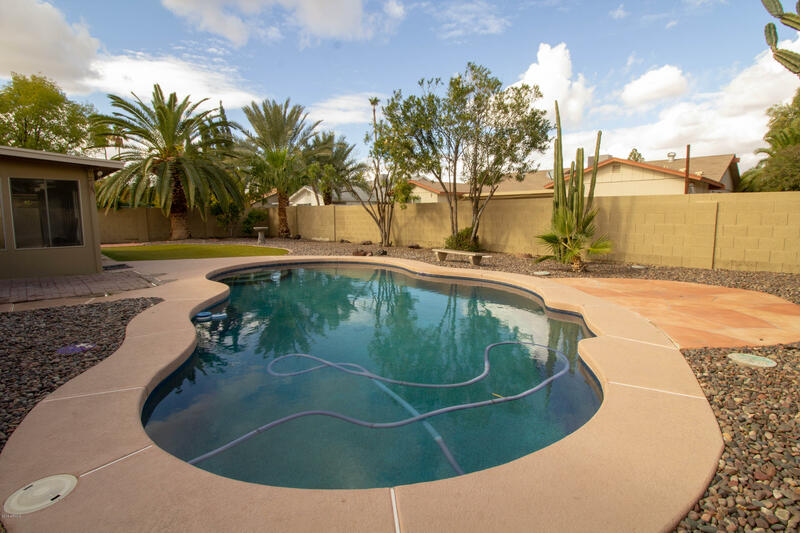 "Cozy 4 bed, 2.5 bath home centrally located in Mesa! The split floor plan offers an abundant amount of space to entertain and live comfortably. Bask in excellent natural lighting that carries from room to room, enhancing the living area! Your kitchen has plenty of cabinet space and overlooks into the living room. All of the bedrooms are large and provide excellent storage space. Out back, sit back and relax under your extended covered patio or hop into the large swimming pool. Schedule your show"
"PRICE REDUCED!! 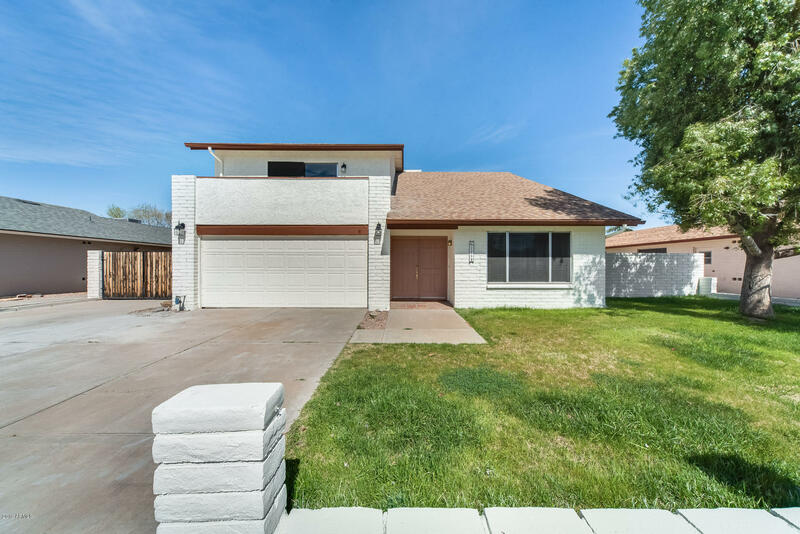 Check out this beautifully newly remodeled 1646 sqft, 3 bedroom, 2 bathroom home in Dobson Ranch with a 280 sqft enclosed air conditioned patio, and oasis backyard with Pebble Tech Pool. Home features all new kitchen and bathrooms with attractive shaker cabinets, quartz counters, new plank wood tile flooring and new carpet in the bedrooms. This home includes new door hardware, new lighting and new plumbing fixtures throughout. This home has an immaculate backyard with pebble te"